My most favourite book in the whole kitchen is surprisingly not a cookbook. It’s a ‘Flavor Bible‘ (note: Amazon Affiliate link), a book that gives you lists of ingredients that compliment or enhance a particular ingredient. With it, you realise all the possibilities. Of course you do need to know how to cook before you start fiddling, I’m sure plenty could go wrong if you chucked everything together, but for coming up with new recipe ideas, it’s wonderful. Along with lists, you also get little snippets of dish names from chefs around the world, or little tips. Now, I’m not a huge fan of cooked carrot in general, and especially the everyday carrot soup I’ve tasted. 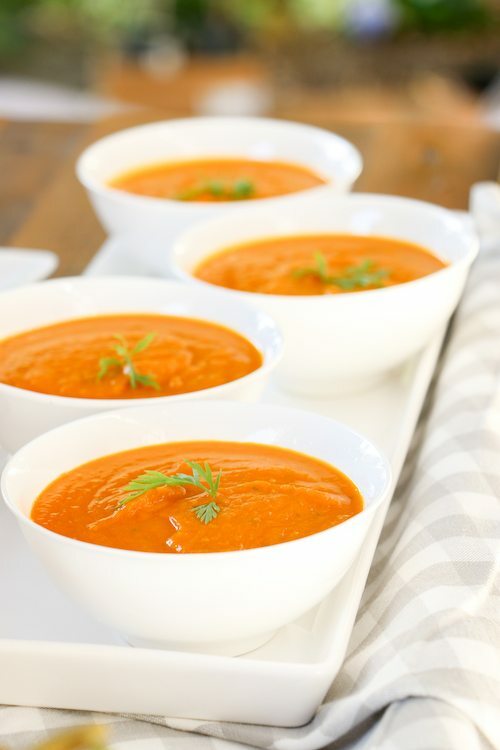 But it was one of the tips in the book that made me realise that adding fresh carrot juice to soup helps bring that freshness and brightness back into the dish. 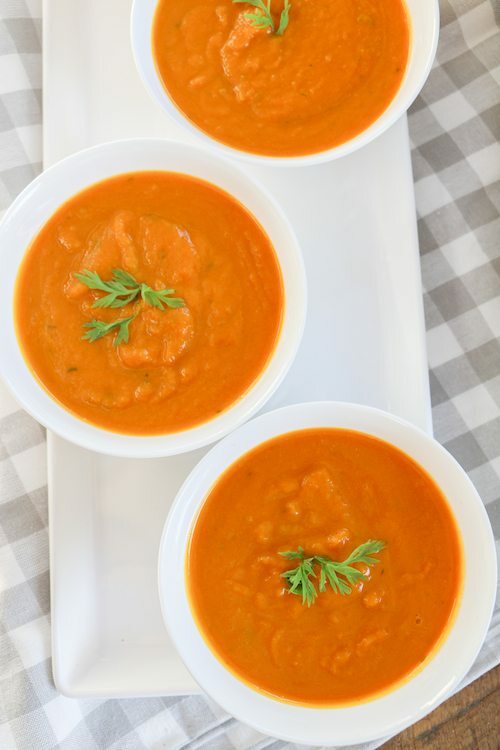 With this tip in mind, I fiddled with a a basic carrot soup recipe and I bring you this. The peach juice was just on a whim that ended with excellent results- it gives it a bit of zip and ‘lightens’ the soup. To garnish, add a little sprig of carrot top. Start this recipe by getting together all your ingredients. Juice your peaches, juice your carrots (these can be big carrots, not baby carrots), and boil and puree your baby carrots. Then in a medium saucepan, stir together all the ingredients over medium heat, bring to a boil, then reduce to a simmer for about 15 minutes. If you're wanting this to be more of a main meal rather than an entree, I'd suggest doubling the recipe.